Osa Conservation’s Marine Conservation Program improves the protection, conservation & management of coastal-marine ecosystems of the Osa Península. Rich in marine life, this region supports a vibrant artisanal fishing and ecotourism industry. 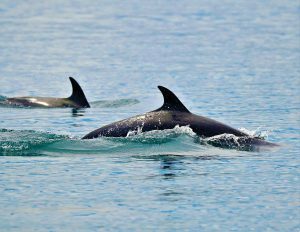 The coastal-marine ecosystems of the south Pacific coast of Costa Rica support extensive natural resources including cetaceans, sharks, coral reefs, mangroves, and important fish stocks. The south Pacific is part of a marine corridor for migratory species and critical habitat for many wildlife species and sea turtles. Additionally, this is the only known place where humpback whale populations from the Northern and Southern Hemisphere can be found in the same area. 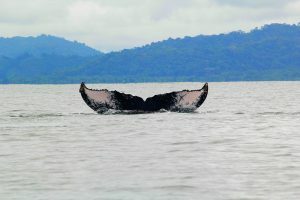 Humpback whales rely on the protective breeding area of the Golfo Dulce for mothers with calves. The great wealth of biodiversity in the area is due to its unique geography and climate. The Osa Peninsula is separated from the mainland by one of four tropical fjords in the world, the Golfo Dulce. Unlike the open ocean, Golfo Dulce is protected from high winds and wave-driven currents, making it a very safe place for education and research activities. Its scenic beauty and richness in both marine and terrestrial species have made this area recognized as a hotspot for environmental conservation. 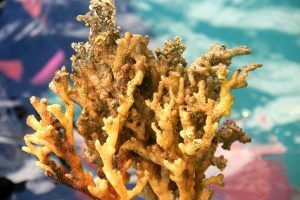 Despite its ecological relevance, the marine environment in the south Pacific faces several key challenges that can easily weaken the marine ecosystem health. It is critical to address these in order to protect this important region for the future. Creating social engagement mechanisms for promoting conservation and sustainable use of marine species and ecosystems at regional and national level. 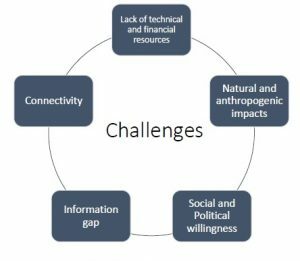 Becoming a marine biodiversity conservation model that integrates high level research, education and political influence. 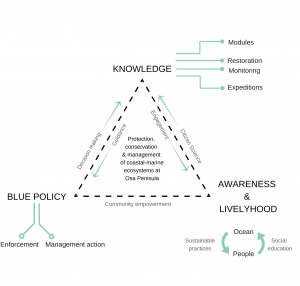 Based on the model below, we have outlined these objectives to strategically improve the knowledge about marine resources, increase awareness & livelihood of local community members, and advance marine-friendly “Blue Policy” through informed decision making.